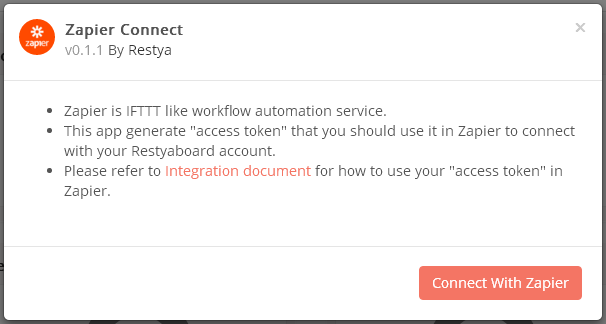 Zapier is IFTTT like workflow automation service. 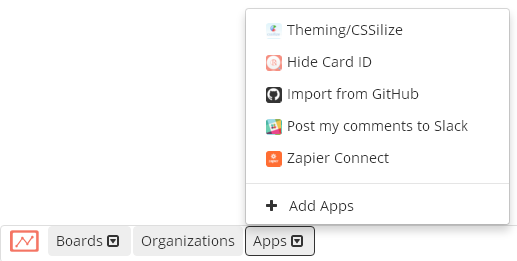 Through this free integration, it is possible to connect/interact so many apps available in Zapier platform with your own self-hosted Restyaboard. Zapier lets you connect Restyaboard to 1,000+ other web services. Automated connections called Zaps, set up in minutes with no coding, can automate your day-to-day tasks and build workflows between apps that otherwise wouldn't be possible. How do I connect Restyaboard to Zapier? 3. 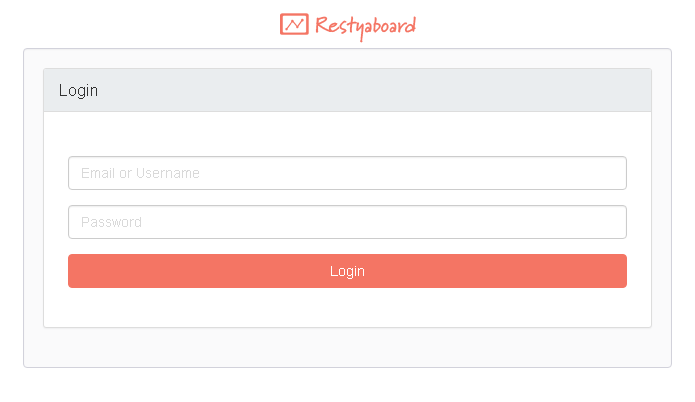 Now click on "Connect new account" and search for "Restyaboard". 4. 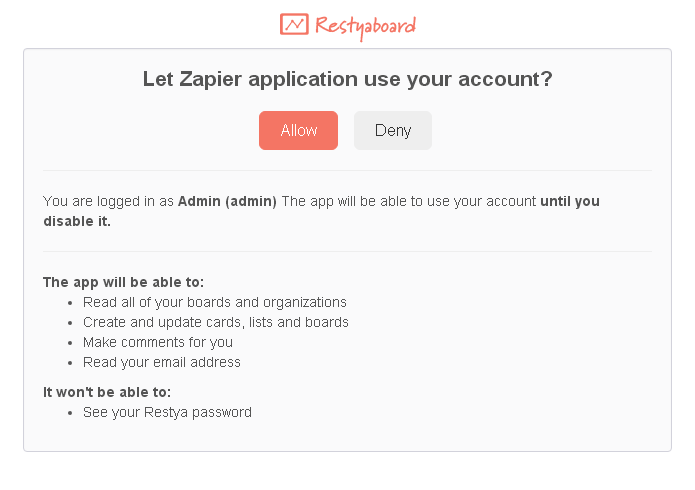 Use your credentials to connect your Restyaboard account to Zapier. 6. Need inspiration? See everything that's possible with Restyaboard and Zapier. 1. While click apps in footer, it will show apps enabled in your Restyaboard site. In this click, Zapier app. 2. It will prompt a window with "Connect with Zapier" button. In this click, Connect with Zapier button. 3. It will prompt a login page to enter your credentials. After provided your credentials, click login button. 4. It will ask a confirmation to provide Zapier application to use your account. In this click, "Allow" button to provide access. 5. 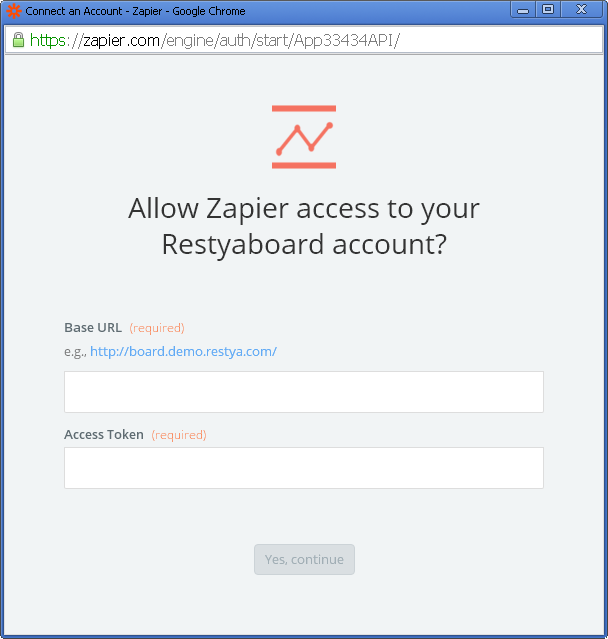 Provide your Restyaboard URL and access token and create zap in Zapier.